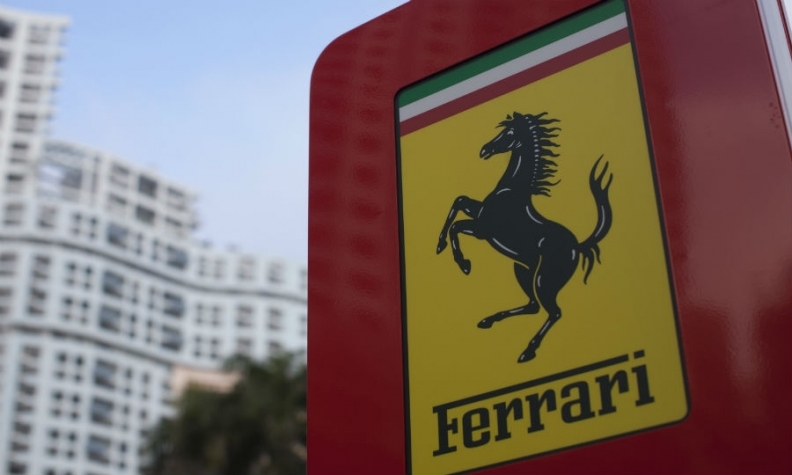 Ferrari's brand colors and prancing horse logo, pictured here at a Hong Kong dealership, make it a difficult sell in the fashion and design world, analysts say. MILAN (Reuters) -- Ferrari faces a battle to persuade investors that it should be priced as a high-flying luxury goods stock. Compared with high-end brands such as Prada, Ferrari's margins are low and it needs heavy investment to make its prancing horse logo a big attraction on exclusive lines besides cars. Few would question the business acumen of Sergio Marchionne, CEO of both Ferrari and its owner, Fiat Chrysler Automobiles (FCA), but his strategy for squeezing every last drop of value from the listing of the illustrious Italian sports car brand has certainly raised a few eyebrows. "Ferrari is capable of being a fully-fledged luxury brand," Marchionne said last month, setting out his stall to target the kind of high-end valuation multiples enjoyed by the likes of LVMH and Richemont. Marchionne believes Ferrari is worth up to 10 billion euros ($11.3 billion). He is considering an initial public offering (IPO) in the first half and is hoping for a chunky windfall to boost FCA's ambitious five-year investment plan. But for all Ferrari's Formula One racing pedigree, exclusivity exemplified by the LaFerrari supercar's 1 million euro ($1.14 million) price tag and a production cap that maintains a healthy customer waiting list, the company has its work cut out if it is to join a sector that trades at about 20 times future earnings. That's more than double the average for carmakers. In the auto industry Ferrari is a top earner with profit nearly tripling over the past decade. The brand's margins of 14 percent are unmatched by any carmaker except Porsche -- but those margins are well below Prada's 26 percent and have been under pressure from rising costs. Revenue growth has been lower than that of most European luxury stocks and Ferrari's capital expenditure and research and development requirements are more than double, depressing its return on capital. While the multiples investors will pay depend on Ferrari's ability to grow, it is hard to see what the company has beyond its cars that would fit the luxury mold. Ferrari has the capacity to raise annual production to 10,000 vehicles a year from 7,000, but Marchionne has made clear that output will be kept below demand to protect the brand's exclusivity. He told analysts in a post-results conference call last month that further detail on his strategy would not be forthcoming until nearer the IPO. Ferrari's merchandising division might seem an obvious starting point, but Marchionne has denied this. In any case, the elevated prices of T-shirts, bags and shoes bearing the prancing horse are well below those commanded by luxury goods. Its theme park in Abu Dhabi is also accessible to anyone willing to pay 250 dirham ($70) for a one-day pass. "If you are already available to everyone, then making your way back up to the luxury level is nearly impossible," said Manfred Abraham at brand-building consultancy BrandCap. "They would have to stop doing a lot of things and start again, which is a massive investment ... how attractive is that to shareholders?" 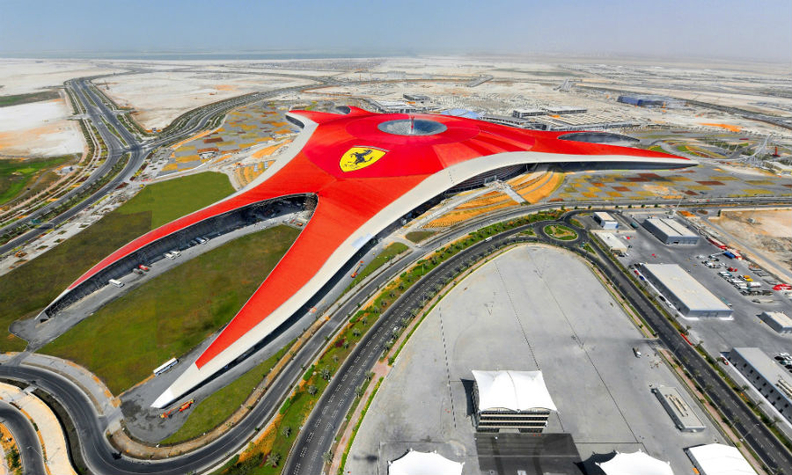 Ferrari's theme park in Abu Dhabi, shown, may have diluted the brand's exclusive image. Marchionne's statement that carmaking, which accounts for the bulk of Ferrari's sales and profit, is "incidental" to the brand has left investors puzzled. As shown by Porsche Design, tire maker Pirelli's PZero and Bugatti's move into apparel, previous attempts by automotive groups to stretch beyond their core products have not provided a major revenue boost. Analysts say Ferrari's logo and colors make it a difficult sell in the fashion and design world. There was talk of a luxury alliance with other opulent Italian brands to rival conglomerates such as Kering, but the concept has been dismissed by two bankers close to the company. Analysts, meanwhile, have pointed to the potential for exclusive clubs and hotels for the super-rich or Ferrari moving into high-value motorcycles and boats. However, Bernstein analyst Max Warburton remains skeptical, suggesting that the Ferrari brand could be extended at a luxury premium only to watches, perfumes and eyewear. "A sports car maker has little competitive advantage when it comes to producing and selling personal luxury goods," he said. Regardless of its prospects as a true luxury goods business, the spinning off of Ferrari is far from a car crash. The divorce will unlock the value of a business that made 12 percent of FCA's profit last year. It could also pave the way for FCA to attempt a tie-up with another carmaker, perhaps focusing on the Asian market, bankers have said. Yet how investors interpret Marchionne's bold statements remains unclear, with analysts' estimates for Ferrari's worth ranging anywhere between 5 billion euros and 10 billion euros. "With luxury it's a lot about emotion and allure," one U.S. investment banker said. "People may not fully buy into Marchionne's argument, but they will put money on Ferrari on the promise of what it represents and could be."